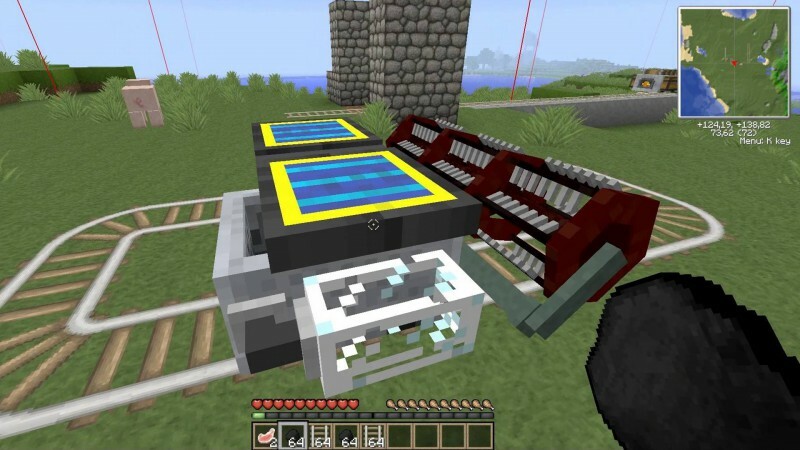 Steve’s Carts adds some features to your game that you have never been tried before, so you will be able to experience minecraft system to its maximum. You know how default carts are getting old as design and everything else? Well, now you can design your own cart and make it as unique as you want! Nevertheless, this designing part is not the hard part because you can make the cart as fancy as it can be made, but adding the features to the cart can be a little bit harder than you think, so you have to pay attention. The features we are talking about are no limited to drills, railers, solar panels, storages, wheat farmers, dynamite carriers, seats with steering ability, shields and shooters since the new version. All you have to do before you start create your own unique cart is to learn how the Cart Assembler work and then you will be able to enjoy this mod at its maximum!